Rabbits are natural herbivores, which means they naturally prefer to eat plants, not meat. However, not all plants are equal. Some can be offered to a rabbit in plentiful portions, while others should be limited or avoided altogether. Wild rabbits eat a varied diet -- generally grasses and leafy plants, plus some bark, sprouts, fruits and seeds. Rabbit caretakers can use information about wild rabbits' diets to determine what to feed their domestic counterparts. Amanda Lenz, educator and director of foster care for the Indiana House House Rabbit Society in Indianapolis, says rabbit caretakers should limit potatoes and other root vegetables like carrots, beets and radishes, because their sugar and starch content is higher than ideal. Rabbits may enjoy the taste, but too much sugar or starch can cause digestive upset. Instead of potatoes, rabbit caretakers should offer a base diet of grass hay, lettuces, sprouts, dark leafy greens and herbs like parsley, mint, basil, chicory, fennel and dill. Vegetables including broccoli, celery, sweet peppers, cabbage and zucchini are acceptable in smaller amounts. Likewise, occasional fruits: apples, mangoes, berries, bananas, melons and pineapple. If a rabbit eats potatoes and experiences problems such as diarrhea, appetite loss, lethargy or weakness, see a vet. Introduce new foods slowly, and if you're unsure about an item's safety, call the ASPCA's Animal Poison Control Center. 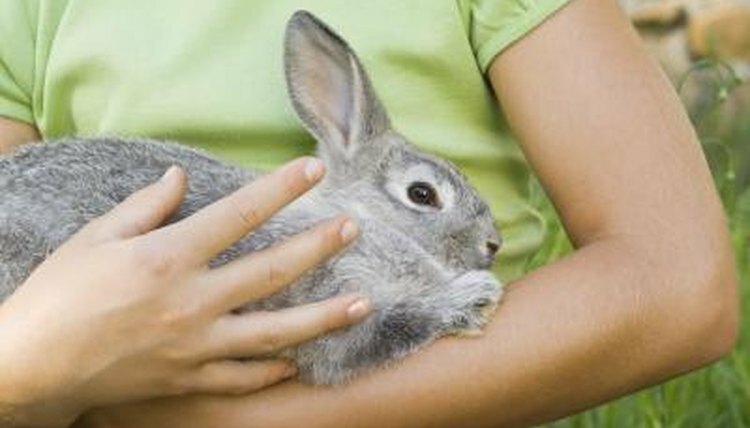 University of Miami, Department of Biology: What Should I Feed My Bunny?